Home » Monastery Stone Carving design on porcelain. Beautiful! Novelty! 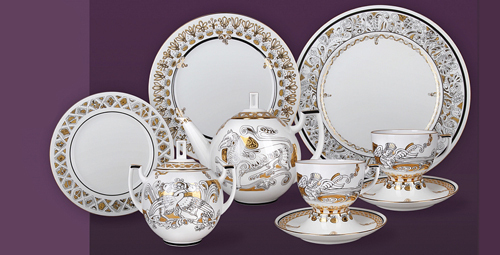 Tea Set and Dinnerware items with pattern based on stone carving tradition in Russian Monasteries. The painter Olga Belova-Veber used the images of stone carving on the facade of the Monastery of the Intercession in the Martha and Mary Convent in Moscow, Russia.